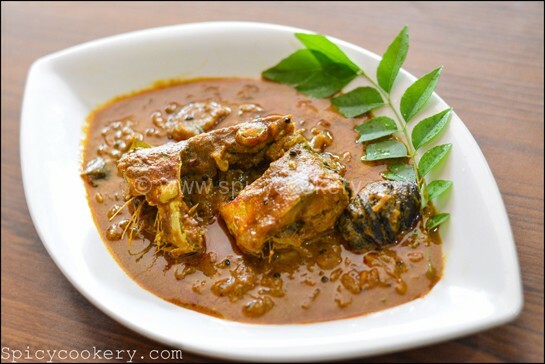 Malabar Prawns Curry a traditional recipe from Malabar District – northern half of the state of Kerala. 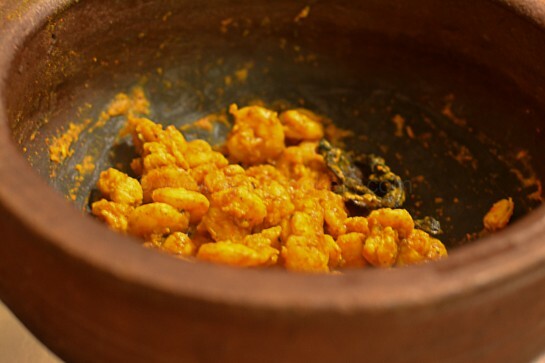 Prawns cooked with kerala traditional spices and then dipped in rich, thick coconut milk makes this recipe delightful and aromatic curry. Prawns are available in most part of the world. They are in varieties. 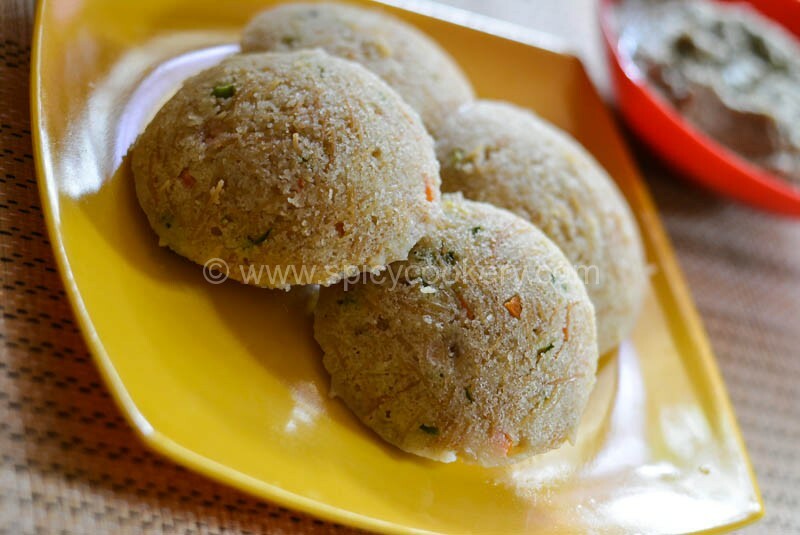 They are very rich in proteins and low in fats thus helps in reducing weight. They are rich in Cholestrol but increases good cholestrol and reduces bad cholestrol. Prawns are very tasty to eat. 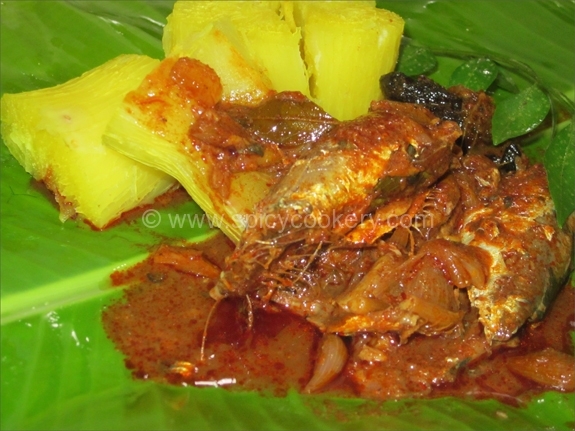 I usually prefer mud vessels/ kal chatti for preparing fish items as it enhances the flavour of the dish. 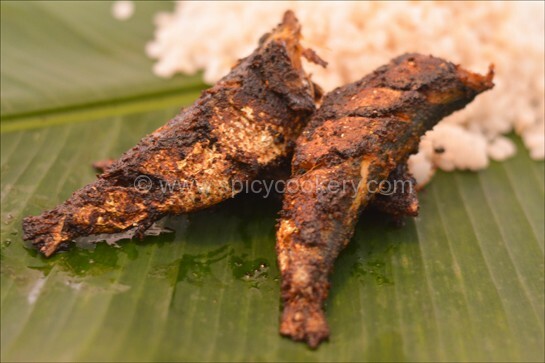 It is a Kerala traditional style of cooking fish in Mud vessels or Kal chatti. 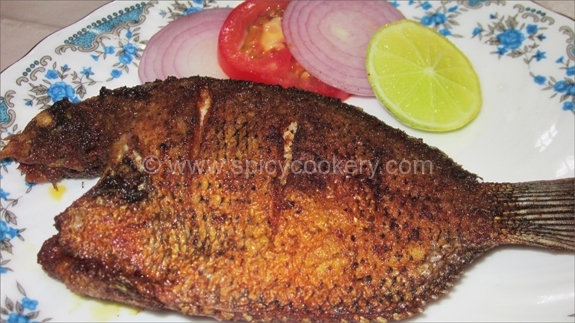 So this seafood recipe will surely mark your tastebuds. Curry leaves/ Kadi patta – a few strands. 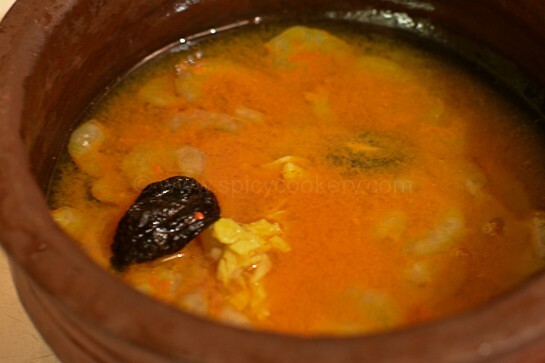 Take cleaned prawns in a mud vessel/ kal chatti or pan. 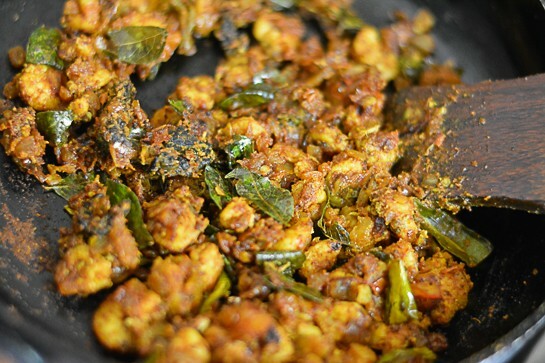 Add chili powder, turmeric powder, salt and kudampulli. Mix well. Now add adequate water and when the prawns start boiling, low the flame. Cook untill the prawns are done. Heat oil in a frying pan. 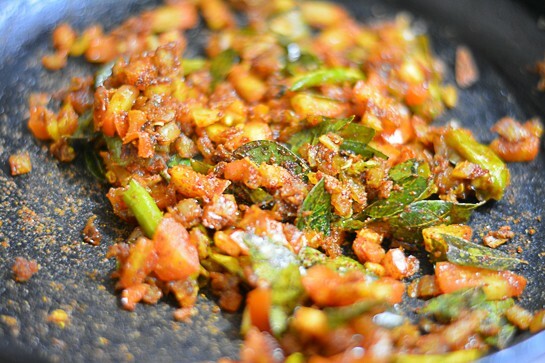 Add the sliced green chilies, ginger and curry leaves. 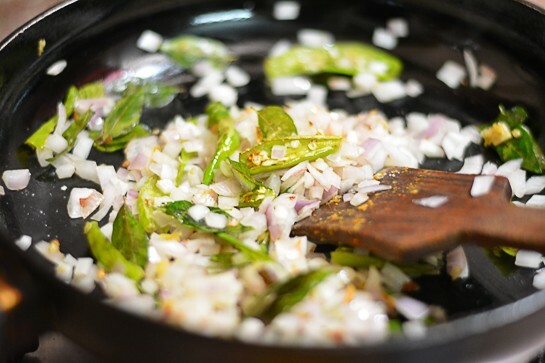 When the greenchilies splutter, add chopped onion and saute till onion turns transparent in color. Now add chili powder, turmeric powder, garam masala powder and adequate salt for gravy. Saute for a minute in low flame. Then add chopped tomato and stir till the gravy starts leaving oil from sides. 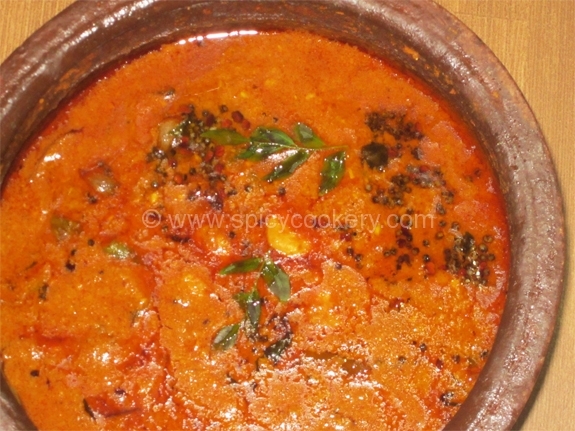 Now add cooked prawns and mix them nicely so that masala combines with prawns properly. Add thick coconut milk and when the gravy starts to boil, remove it from flame and allow it to cool. 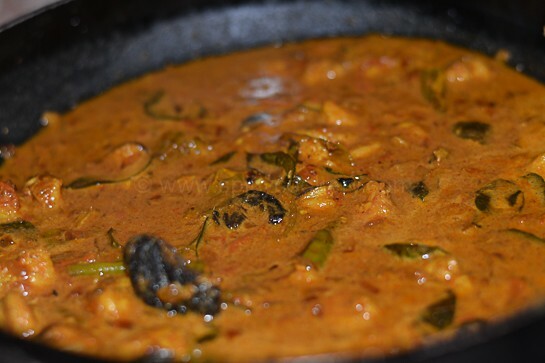 Spicy and Tasty Malabari Prawns Curry is ready to serve with hot rice, Kerala porotta, Naan, Chapati.